collecting data about everything from traffic patterns to energy use. It’s common for government leaders to think, “That’s not for us. 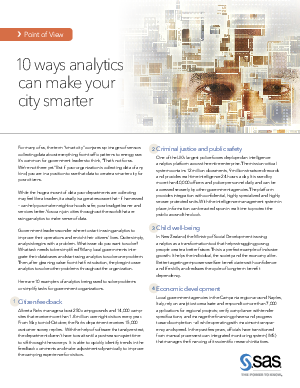 Download this whitepaper for 10 examples of analytics being used to solve problems or simplify tasks for government organizations.